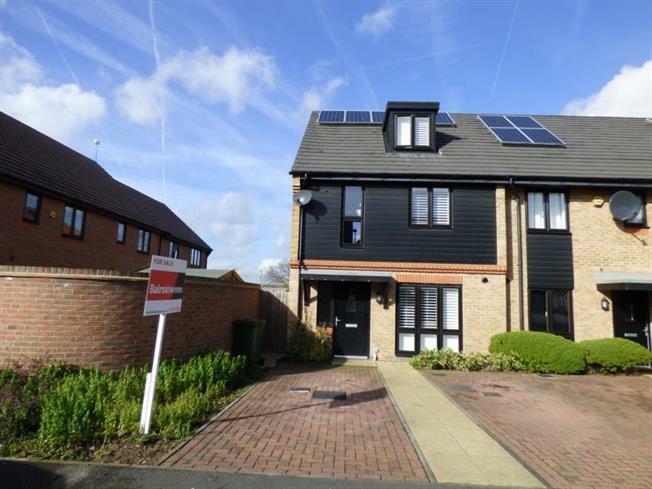 4 Bedroom Semi Detached House For Sale in Hornchurch for Offers in excess of £450,000. If you're looking for a stunning family home, in a quiet yet convenient location, this is the one for you. Built in 2014, with a spacious lounge, large kitchen/diner with beautiful granite work surfaces, good size bedrooms including one with en suite and all fitted with built in wardrobes. There is stunning shutter blind throughout, there is plenty of space for all the family in this lovely home, and it also has the benefit of off street parking for 2 cars. The garden is also hassle free with the benefit of not only a decked area, but also stress free astro lawn laid to the rest of the garden. Only 0.5 miles to Elm Park station with direct links to London, and easily accessible to all of the areas towns via road the postion of this home is superb. Don't miss your chance to view - call us on 01708 457036.